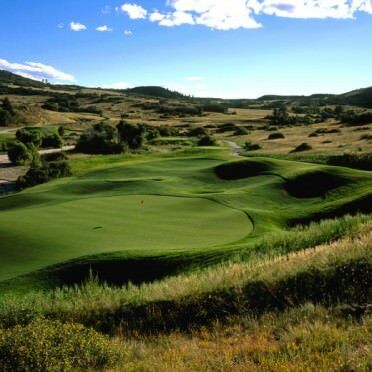 Pradera is an adventurous blend of traditional Irish and modern influences with a Colorado twist. The Jim Engh contemporary layout features deep white sand bunkers and wetlands which highlight the smooth fairways and greens. From I-25 and Founders Parkway in Castle Rock, take Founders Parkway 1.5 miles east to Crowfoot Valley Road. Turn left and go 3.4 miles northeast to the entrance of Pradera. Turn right on Pradera Parkway, go east 1.4 miles, and turn right on Bayou Gulch. Take the next right and the entrance to the club will be on your right. Dress Code: Gentlemen must have shirt with collar. Please no denim, sweat suits, bathing wear.